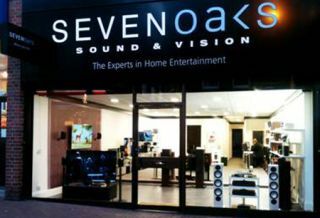 Sevenoaks Maidstone reopens with a new look and new brands | What Hi-Fi? If you're in the Kent area you'll be pleased to hear that the Sevenoaks Maidstone store has reopened with a new look and a host of new brands and products. The store has been redesigned to look smarter and more spacious and also to allow for more hi-fi, home cinema and streaming kit. New to the Maidstone Sevenoaks store are the latest smart TVs from Panasonic, Sony and Samsung, alongside home cinema products from Denon, Onkyo, Pioneer and Yamaha. Speakers what you're after? Then you'll be pleased to hear brands such as Bowers & Wilkins, KEF and Monitor Audio are on the roster, alongside hi-fi kit from the likes of Audiolab and Cyrus. Naim's Uniti range of products takes pride of place in the streaming and new media section of the store, with complete custom installations also on offer. The Maidstone Sevenoaks store is open now, head to the Sevenoaks website for more details.